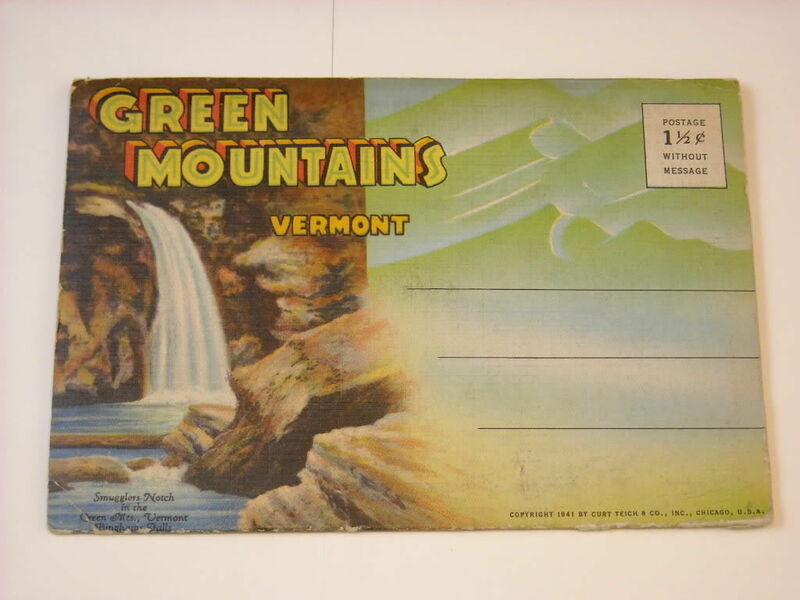 This is a listing for a souvenir envelope of illustrated pictures from Vermont 1941. 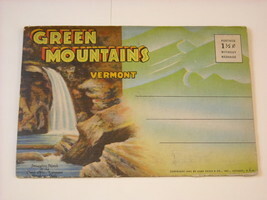 There are 18 labeled illustrations from The Green Mountains Vermont on an accordion foldout with info about the area. 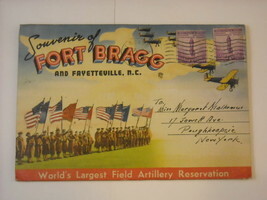 This was never addressed or mailed. 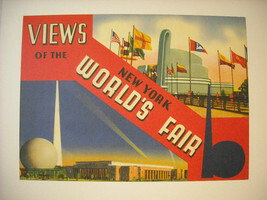 It was published by Curt Teich and Co., Chicago. It has some bends and dirt at the corners. 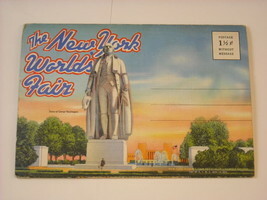 It measures 4 1/4" x 6 1/8"